When starting a new business most people are trying not to overspend. So one of the places they cut back on is in advertising which is actually very important when starting a new venture. We all can't afford a 30 second spot during the super Bowl but there are a lot of things that we can do that won't cost us a lot. If you have a vehicle of some sort, whether a car, truck, or van, why not use it as a travelling billboard? You can start with magnetic signs, they are very inexpensive and if you do a lot of driving then a lot of people will see your signs. Now if you have a very nice car and your worried about the finish then what about plastic letters adhered to your window(s)? This can be very effective and very low in cost but you gotta think about this, when people stop for traffic lights, railroad crossings or just for a stop sign their eyes will scout the area. This is a very common thing that almost everybody does. Did you ever stop at a railroad crossing and see these signs that are stuck in the ground with advertising for a mortgage company? They're not being put there because they don't work. in fact I know of several companies that are selling the service of putting up these signs for small businesses. Again with window lettering you need to use good ad copy have the domain saveupto90percent.com and I had this on my back window of my car. It aroused curiosities when people saw this that they came to my website just to see what they would save up to 90% on. With any advertising you don't want to give them everything, you want them to have questions in their mind so that they will visit your site, your store, or call you to have these questions answered. It's like when leaving a message on an answering machine. If you say to much then why would these people call you back? When I had a retail computer store I wanted to build a mailing list of possible customer's so I started a raffle. When someone first filled out an entry they got a mousepad with my banner on it. These cost me less than a dollar each which I figured that meant that I had a dollar into each customer. The raffle was for a $1,000 shopping spree in my store and i collected entries for a year before I held the raffle. i then had the winner, which was an eleven year old boy, announced on the local radio. This kid's name was andy and he is responsible for so many referrals. The $1,000 shopping spree maybe only cost me about $400 but I did so much new business because of this promotion. Business cards, another low cost advertising mechanism. don't just put your name and phone on them put your website if you have one, your email address, and a one line description of what your business does. Now the next thing that needs to be done with your business cards is a visit to your local book store. if you are a Real estate agent or a mortgage broker then go to the section where all the real estate books are and put one of you cards in the bindings of each of the books. somebody who wants more info on buying a house or obtaining a mortgage is going to go to the bookstore and start looking at all the books on this subject. then they will see your business card. If you sell to small businesses then put your biz cards in the section where people go for books on business. another area is the magazine section. besides your local book store's what about in your local grocery store/ Do you have a store that sells gift's, what about the local airport, bus terminals, doctors office's? the ideas are endless but you have to figure that somebody will be reading these publication's and they might see your business card. Regarding radio advertising, did you ever consider AM radio? I used to pay less than 45 per spot for sixt second spots. it was a news talk radio station that also played CNN headline news. People driving in traffic, listening to AM radio were all hearing my commercials. when doing radio advertising it is still expensive if you target certain shows but what i did was called blanket advertising. i would buy a certain number of spots per 24 hour period. what about advertising at your local movie theater? In between movies, while you are waiting for the next movie, you see advertisments on the screen. These cost maybe a few hundred dollars but a lot of people were seeing them. In Nashville, TN. you could advertise in bathrooms. You have to figure that men using the urinals had nothing to look at but the tile wall in front of them. In Nashville their was a company that sold signs, billboards, in the stalls and above the urinals. it was very effective. i discovered this method when i was at a good restaurant and had to use the Men's room. All the local Chinese restaurants and pizza places hire people to hang flyers on all the doors in a certain area. What about having these people hang your flyers at the same time? If your business doesn't compete with the local pizza or Chinese restaurants a lot of them will do this for you at a very minimal, if any, charge. If you have a website and don't want to spend the money for advertising then make sure your site has good content. Articles about specific topics, Search engines love these sites and you will still get great ranking's. 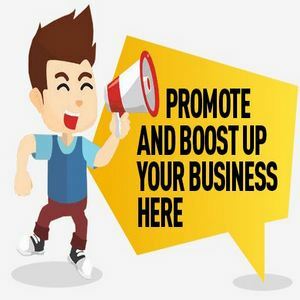 it may take a little longer than paying a company to promote your site but it does work. Look at my NosugarCoating site. The first page has a ranking of 4 but yet I never had the money to spend on Search Engine sumbmission service's or any other type of promotion.